Keith Davidson is Associate Director at SAMS, and a co-investigator in the Arctic PRIZE project. 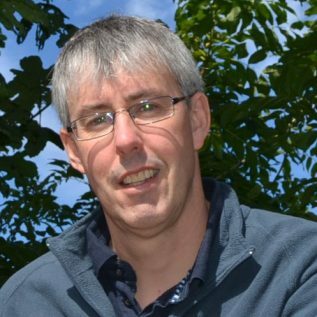 Keith Davidson has 25+ years of experience in phytoplankton ecology being awarded a personal chair in 2012 for his work in the field, having published >70 scientific papers. He is a Fellow of the Society of Biology, a member of the Council of the International Society for the Study of Harmful Algae (ISSHA) and a member of the ICES Working Group for Harmful Algae (WGHABD). He has participated in a range of expert groups advising NERC, DEFRA and the Food Standards Agency. He is a member of the NERC Training Advisory Group (TAB) and Joint Capital Allocation group (JCAG) and a past member of the NERC peer review college.